Cuba is well known for Tobacco Farming and Colorful Cities with Afro-Cuban Influence. Notably cities such as Santiago de Cuba and Trinidad, which has been designated as a UNESCO world heritage site. The population is richly diverse, with an approximate 11.2 million residents living on the Island. Despite the Native roots the most profound effect on Cuban culture is the result of African, European and even the North American influences. Vibrant Art, music, tropical climate and the colonial charm of the cities, which include 9 UNESCO World Heritage site makes this destination one of the most Unique from around the world. Cuba has some of the most colorful Spanish-colonial cities and cobblestoned streets in all of the Caribbean. 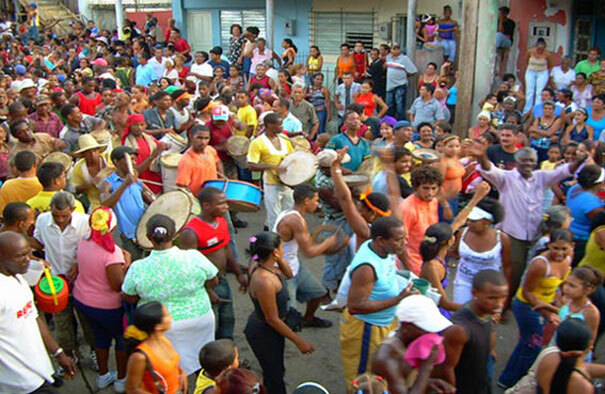 Its rich history goes back hundreds of years and its brightly painted buildings and bustling barrios with mambo rhythms make this a unique experience not to miss. Cuba is truly a rhythm nation. The blare of trumpets and the fiery salsa rhythms that can be heard rippling through its city streets spring to life with warmth and it never stops taking you by surprise. Visiting Cuba is like traveling back in time. Classic cars, weathered buildings, and unique history create an unforgettable experience in this enchantingly beautiful country. Changes are happening in front of our eyes so do not waste any time to go and come visit with us.